We tried Sun Basket and loved it! Executive Chef Justine Kelley nails the art of creating exquisite recipes for home cooks. Here are a handful of our favorite Sun Basket recipes. Sometimes life gets busy! If you’re like most people, you probably find that there are many days you do not have the time or energy to fix a good meal. However, going out often means high costs and overly processed foods. If you’re craving wholesome foods that are homecooked, without the strain of meal-planning and grocery shopping, then you’re in luck! This recipe is gluten- and soy-free, with 690 calories per serving and takes only 25-35 minutes to prepare. Inspired by the French dish salade Niçoise this wholesome meal features wild salmon fillets that are pan seared with roasted new potatoes. A side of green beans, along with a mint and lemon garnish makes this dish refreshingly light and healthy. This recipe is gluten-, soy- and dairy-free and Paleo compliant. Each serving has 590 calories, and the meal takes just 35 minutes to prepare. New Mexican Chile and roasted poblanos lend a mild spiciness, with a sweet, smoky flavor which perfectly complements the steak and roasted potatoes. Sear the steak over a grill, nonstick skillet, or cast-iron pan, then enjoy! Another Paleo-friendly dish, this meal has 620 calories per serving and is ready in just 25-35 minutes. Inspired by traditional Argentinian cuisine, the recipe includes top sirloin steak paired with a Chimichurri sauce flavored with garlic and parsley. The scrumptious meal is served with a side of roasted sweet potatoes topped with cilantro and a squeeze of lime. Taking 30-40 minutes to prepare, each serving of this Paleo meal has around 670 calories, so it’s sure to fill you up and keep you energized. The easy-to-fix roast chicken dinner is reminiscent of classic Spanish Romesco. Originally created by Catalonian fishermen to eat with fish, Sun Basket’s version of Romesco swaps almonds and roasted red peppers for pumpkin seeds and mild green chilies. In truth, the sauce is so delicious that you might be tempted to drink the leftovers. Another Paleo winner, these yummy lettuce wraps have 600 calories per serving and can be prepped in just 20 minutes. Known as laap or larb in Thailand in Laos, there are several Southeast Asian varieties of this dish that contain pork or duck instead of turkey. Though traditional recipes are time-consuming, Sun Basket makes this meal easy. Using fresh ground turkey that’s seasoned with a special lemongrass paste, these Thai Turkey lettuce cups are served with pickled carrots, cashews, and lime wedges. 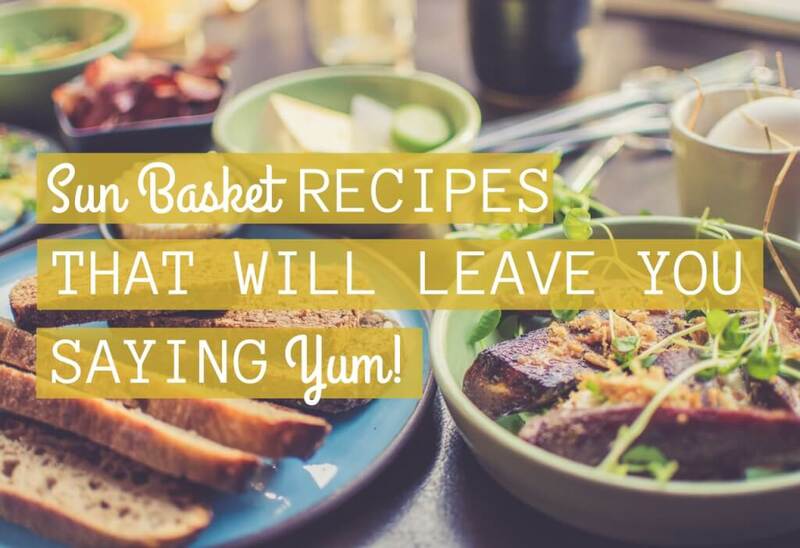 If browsing these scrumptious recipes isn’t enough to convince you to order, here are five more reasons to try Sun Basket meal delivery.